Eyeliners are formulated into two basic types: pencils and liquids. While the details vary, both types use the same basic ingredients. The base is the backbone of the formula. In the case of pencils, it's the waxy/greasy matrix that forms the core of the pencil; in the liquids it's the water/oil emulsion in which the rest of the ingredients are suspended. Typical base ingredients includes waxes and oils, emollients (spreading agents) and, in the case of the liquid type, water and emulsifiers. Colorants in eyeliners (and other cosmetics used around the eye) must be approved by the FDA (in the United States). Colorants that can be incorporated in products for other parts of the body aren't necessarily safe enough to be used around your eyes. Typical colorants include iron oxides and ultramarine pigments. Carmine is another colorant you see from time to time. It's a red color made from crushed insect bodies. These are added to eyeliner formulations to make sure the product meets specifications when it's manufactured and that it maintains high quality. These include chemicals that control the pH, or acid/base balance of the product, and that keep the product free of bacteria and mold. In some oil-based formulas, an antioxidant may be added to keep the waxes and oils from going rancid. Typical control agents include tocopherol (also known as Vitamin E), used for its antioxidant properties, as well as citric acid, methylparaben and propylparaben. Several things can be added to eyeliners to make them more appealing to consumers. These ingredients don't change the way the product works or the way it looks, but marketers add them because women think they are helpful. For some reason, aloe vera is a popular featured ingredient. 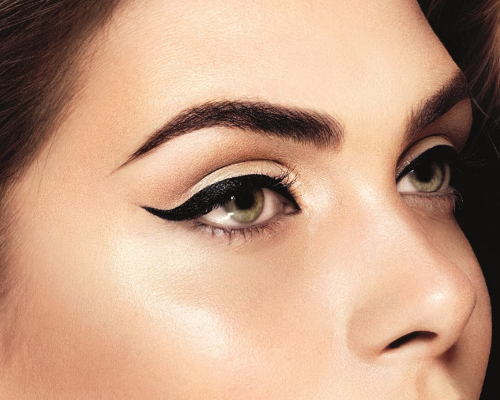 There are two ways that understanding eyeliner ingredients could be helpful. Let's say your favorite eyeliner is being discontinued. If you know what kind of base ingredients to look for, you might be able to pick a replacement without having to try so many new products. On the flip side, if you're experiencing irritation or an allergic reaction to your eyeliner, you might be able to figure out what ingredients to stay away from when you shop for a new one.